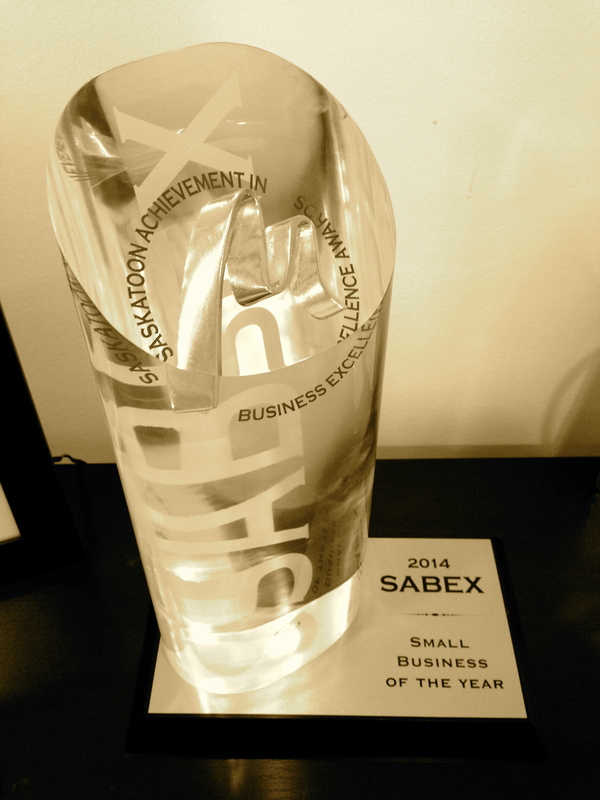 Last Thursday night we attended the 2014 SABEX Awards Gala (Saskatchewan Achievement in Business Excellence). We were thrilled and honoured to be finalists in the Small Business of the Year category. The evening was set to a spectacular 1920’s theme with the hall decorated to perfection and all of the guests dressed in Gatsby-themed attire. When it came time for our award category we were excited and thrilled to hear the award sponsor,MNP, announce “and the winner is… Push Interactions!” Chad, our CEO, accepted the award and in his speech spoke of his appreciation for his team and also for the community that has helped us so much along the way. We are very honoured and humbled to be chosen for this award and will be using this award to further motivate ourselves to provide the best quality of software to our clients and their users. A special thank you to the Saskatoon Chamber of Commerce for planning this special event and to MNP for sponsoring our event category.